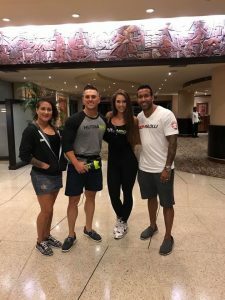 NutraBio Teammates Sarah Hunsberger and Anthony LaVigne had a blast representing NutraBio internationally at the BodyGlow Booth with the BodyGlow Team and guest athletes IFBB Pro Shawna Pringle and 3 times Ms. Fitness Olympia Oksana Grishina! 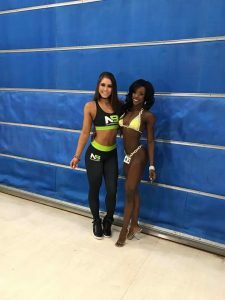 The event was held at Sport World Classic Bodybuilding Invitational in the Trinidad National Academy for Performing Arts (NAPA) on June 24, 2017. 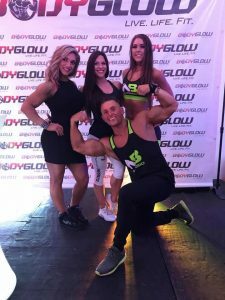 Great job BodyGlow for hosting an amazing event and thank you for your unconditional support of our brand! Enjoy the recap of our weekend below. The owners of BodyGlow were excellent hosts to Anthony and me during the trip. Thank you Renee and Anton for taking care of us, we really appreciated you picking us up from the airport, preparing our meals, and showing us around Port of Spain, Trinidad. On Saturday morning, we got an awesome training session in at Bio Fitness Gym. It was great meeting the owner Hadeed Sean, thank you for letting us train and video tape some footage in your gym! We got the chance to visit BodyGlow while we were in Trinidad. They had walls of NutraBio products, it was so beautiful! Anthony versus Sarah flex contest: Whose biceps are bigger? 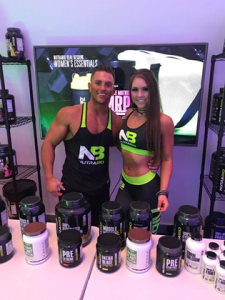 Sweet NutraBio booth at the BodyGlow event! 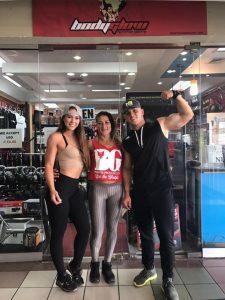 We had the best time hanging out with guest athletes IFBB pro Shawna Pringle and 3 times Ms. Fitness Olympia Oksana Grishina! Such an honor to be among some of the most talented in the fitness industry! Special thank you to everyone who came out to the event! We LOVED speaking to every one of you and taking pictures with you all! We both agree that meeting you all was our favorite part of the trip. Winner of Bikini Class A. Congratulations to all of the competitors at the Sports World Classic, all of the classes were highly competitive and all of their hard work in the gym shined on stage! 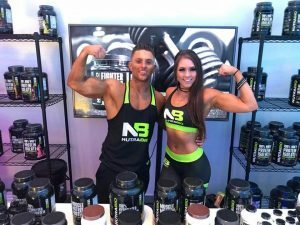 This entry was posted in NutraBio Nation, Industry News, Team NutraBio. Bookmark the permalink.